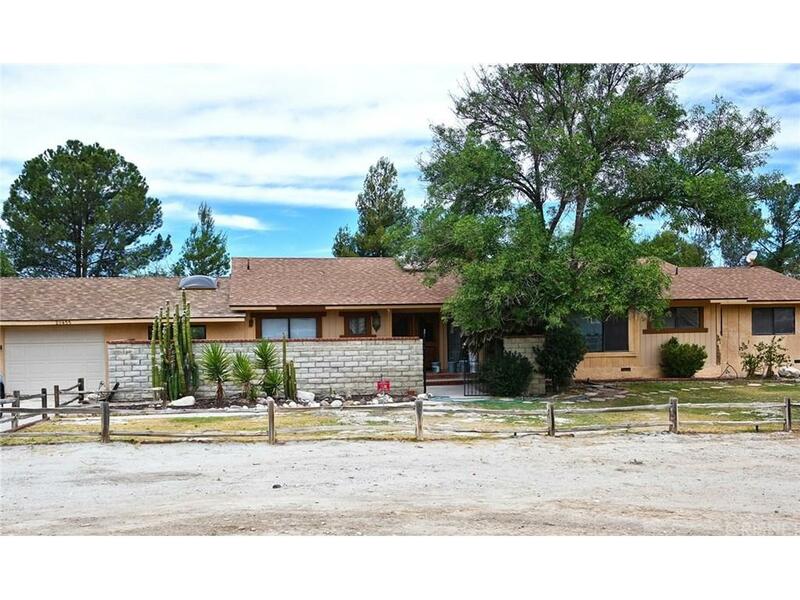 Beautiful Ranch Home with Rare Income opportunity. Main house features 3 bedrooms and 2 baths, enclosed breezeway or sun-room and an amazing large country style covered outdoor wood deck porch. Exposed brick wall in foyer and a one car garage attached to bonus room what was used as a weaning room for dog breeding. Kitchen has brand new appliances, counter tops. House has been freshly painted inside and out with new carpet and tile. The ADA Compliant 1,764 Square Feet newly renovated kennel building can be converted to fit your needs, as a kennel business it?s ready to go and features bathroom, office, kitchen ,2 car garage of its own and 11 dog kennels each with access doors to an outside pen. Adjacent is the Horse Coral that features stable and shed for storage as well. Be it a Dog Training Facility, Boarding, Breeding, Kennel, Horse Property or workshop. Conveniently zoned for A.2 High Agriculture nestled back off Bouquet Canyon on 3.2 acres in a desirable area for many other breeders and kennel businesses as well as the home of Gibbon Conservation Center. This property has unlimited potential inside and out to create a great Ranch living lifestyle while still being near to city amenities. Please call for a private showing. THIS IS A MUST SEE !